The best way to begin anything is by starting fresh. I want to start this summer fresh– I arm trying to be open about who I am to my friends and family, and I don’t want to keep so many secrets anymore. My family is very religious, and I respect that. I respect my parents and I would never want to hurt their feelings, but when my dad asked me if I drink, I just told him the plain and honest truth. He freaked out and lectured at first, but he seems alright with it now… it was good to open up about it. I feel better now. I am starting fresh. That’s not the only fresh thing in my life… I made some delicious fresh stir fry for dinner with all fresh vegetables. It feels good to have fresh food available. Also, I have fresh ideas to work on in clay. I think I want to make some bigger coil vases, and then I want to carve my trees deep into the surface. I still don’t have my white slip here, but I might get it and bring it here in the next couple of days. I think I am going to try to create a home studio to the best of my abilities this summer– minus a functional wheel. I could still go get my clunky old $40 kickwheel, but it causes more frustration than it helps. Anyway, I just had the thought “why not bring my slips and my salt firing clay here along with a few hand-building tools?” so I just might. Anyway, enough for tonight. More tomorrow. 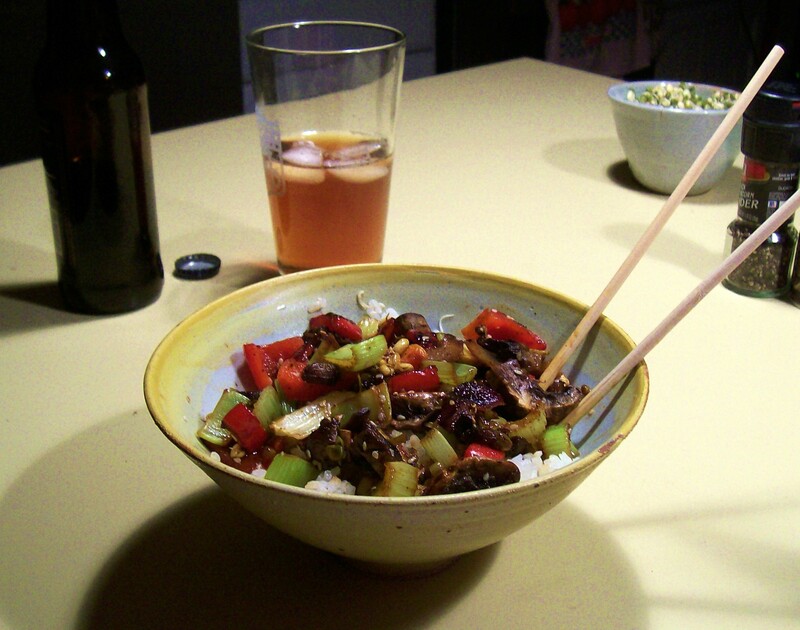 This entry was posted in Ceramics, Deep Thought, Food and Drink and tagged asian food, ceramics, clay, iced tea, stir fry. Bookmark the permalink.